Comfy, pull-out sleep/sofa featuring a mixed hardwood frame with polyurethane foam padding for comfort and to avoid any sharp edges. Gently curved backrest when in the upright sofa position that may be pulled out to a 48" deep sleep surface. 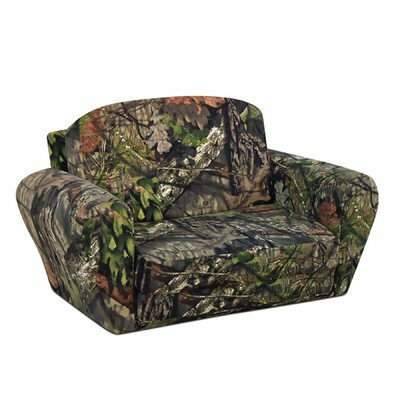 Features the new mossy oak native living pink camouflage poly/cotton pattern with a pale pink background and assorted branches and leaves with the mossy oak logo in an all-over pattern. Bottom is covered with black upholstery fabric. Plastic knobs on the bottom corners to avoid wear and tear of the fabric. No assembly necessary.